NEW YORK (ForexNewsNow) – “A statesman of value must have two essential qualities: cautiousness and imprudence,” Ruggiero Bonghi once said. This quote is perfect for the current predicament US Federal Reserve Chairman Ben Bernanke presently finds himself in since he decided to postpone any quantitative easing (QE3) for now. The problem is that the Harvard graduate seems to only trust prudence, and it could come back to haunt the US economy in a few months. “Who will believe that commitment to cut spending can survive a lengthy stagnation with high prolonged unemployment and social dissatisfaction?” she asked. According to both Bernanke and Lagarde, the ball is in Washington’s hands. In other words, it is the fiscal policy of the United States which is at stake here. Is Barack Obama too cautious or are the Republicans in Congress preventing him from being too imprudent? In either case, the US economy, which has been suffering for months, will not recover by itself. 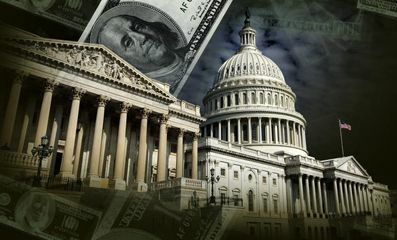 The government – through fiscal policy – as well as the Fed -with QE3 – will have a major role to play in the coming weeks. It’s also no coincidence that Bernanke announced that the Fed’s next meeting would take longer than expected: two days in September (20th and 21st) instead of one.